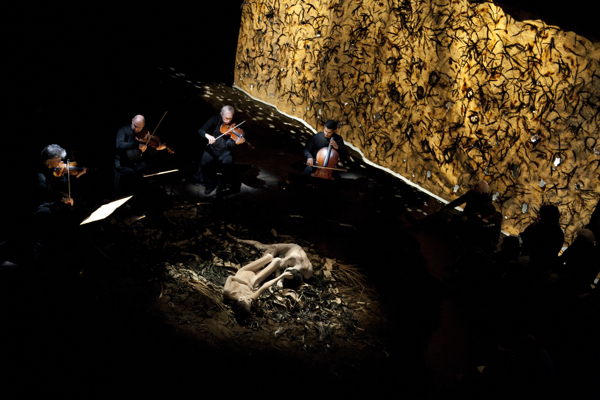 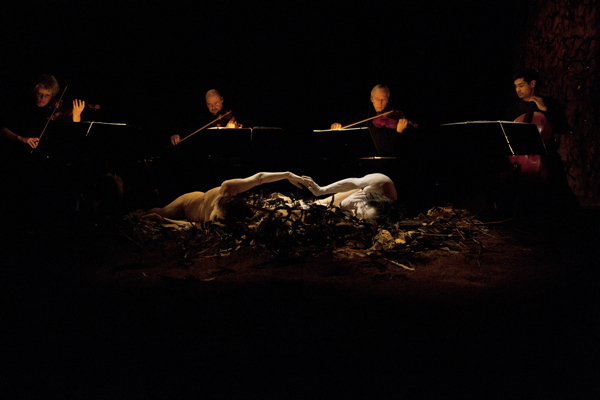 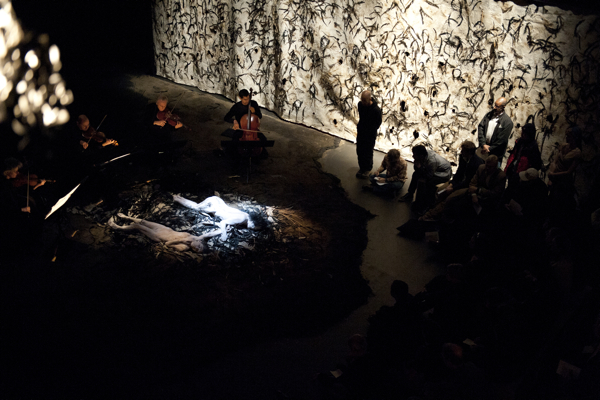 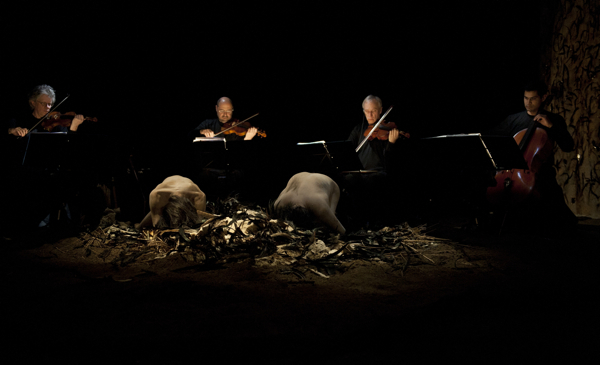 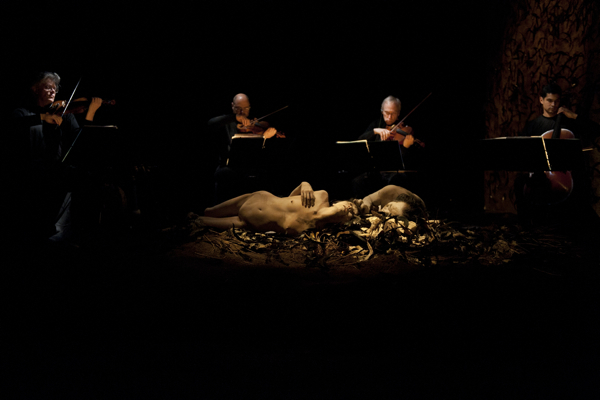 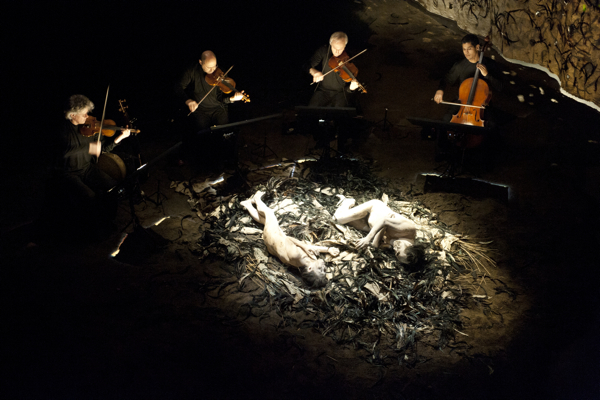 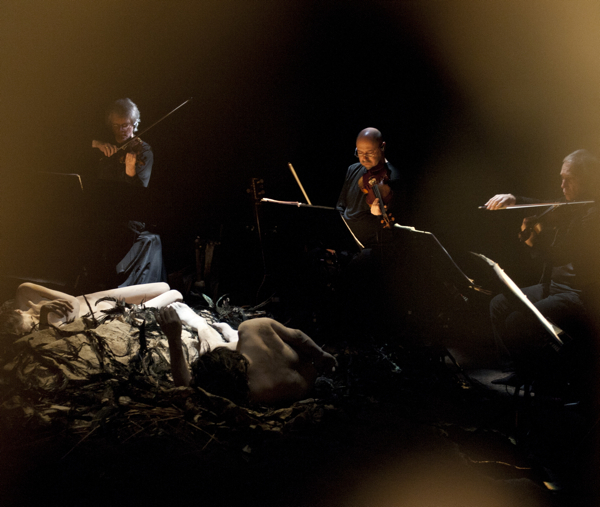 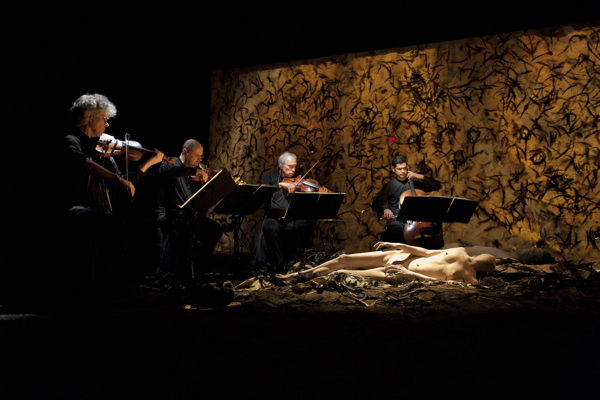 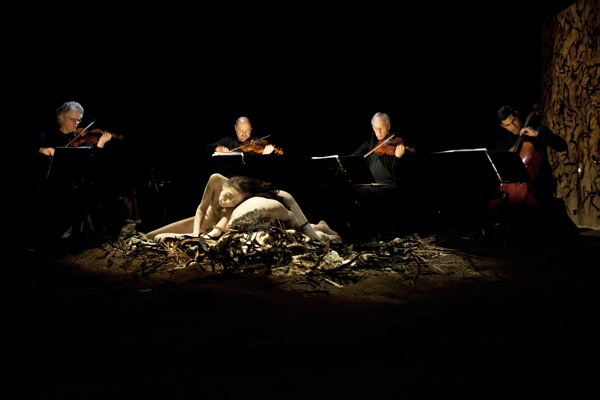 Fragile, a collaborative event created and performed by Kronos Quartet and Eiko & Koma, had its premiere at the Clarice Smith Performing Arts Center at the University of Maryland, which commissioned the work. 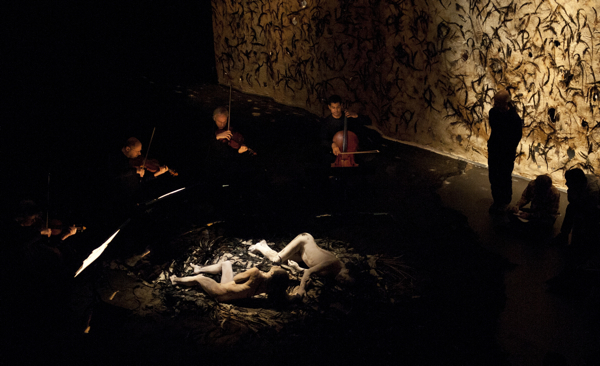 Fragile, a 4 hour durational performance, inherits Naked’s intimacy but offers a new dynamism and complexity for both Eiko & Koma and audience alike. 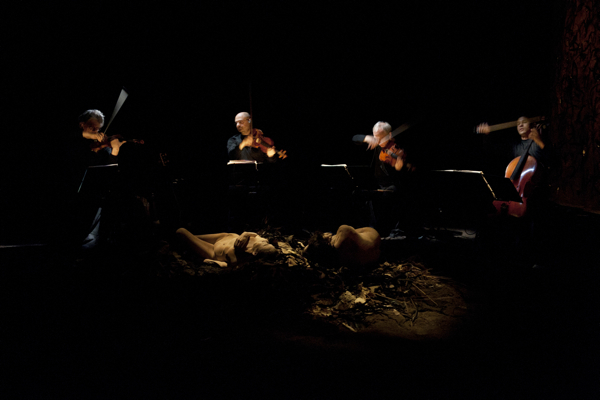 An evocative sound score was conceived and prepared by David Harrington and performed live by Kronos Quartet. 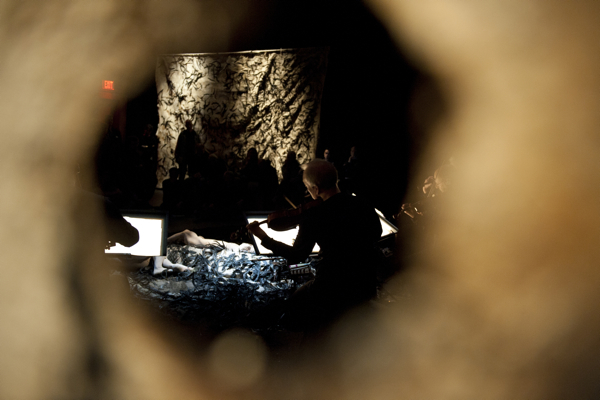 Please click any photo to start a slide show.